The 24th of November, the 5th Eastern European Partnership Summit takes place in Brussels, Belgium. Here the future directions of the Eastern European Neighbourhood Partnership will be discussed. In connection with this, we would like to invite you to an Eastern Partnership seminar. The aim of the seminar will be to take a look on the Eastern Partnership from different perspectives, with presentations from Deputy Deputy FM of Georgia Mr Vakhtang Makharoblishvili, Estonian MFA Undersecretary Mr Paul Teesalu and Deputy DG Mr Maciej Popowski, DG NEAR, European Commission. The Director of Danish Foreign Policy Society, Charlotte Flindt Pedersen, will be moderating the discussion. 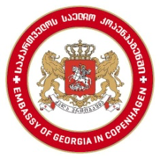 The event is arranged by The Embassy of Georgia in Copenhagen, the Estonian EU Council Presidency, Danish Foreign Policy Society and European Commission Representation in Denmark. After the discussion a glass of Georgian wine will be offered. This Form has no fields.